MURFEST - Asia's Largest Urban Retreat Festival Returns! MURFEST – Asia’s Largest Urban Retreat Festival Returns! 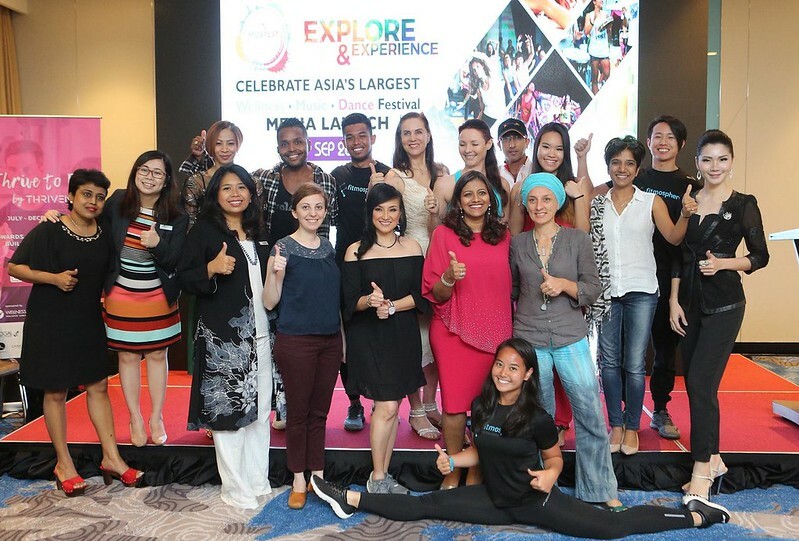 XHale Asia (M) Sdn Bhd (XHale Asia) presents Malaysia Urban Retreat Festival (MURFEST) which is returning for the fourth consecutive year from the 3rd to 5th November at Le Meridien Putrajaya. Gaining continues support from Ministry of Youth & Sports through FitMalaysia & Ministry of Tourism & Culture Malaysia, XHale Asia aims to develop Malaysia into the next health and wellness tourism hub by 2020. The Global Wellness Economy now valued at $3.7 trillion, making it one of the fastest growing economic category. In Malaysia, the wellness industry is growing at an increasing rate of 12.8% annually since 2012. Coupled with incentives from the government, it is targeted to contribute RM400 million to the country’s gross national income by 2020, and by extension creating more than 3,500 jobs. “MURFEST has come a long way in establishing the mindset of healthy living through wellness activities and we are continuing this effort to further implement this through MURFEST. This year, we are proud to collaborate with industry experts to further enhance the festival content,” – Shobie Malani, founder of MURFEST. MURFEST which aims to awaken the Urban Spirit within every individual to live a balanced and harmonious lifestyle will continue on its objective to provide a platform and space for self-discovery, self-mastery and knowledge through a variety of wellness practices through workshops & a dance fitness party. The 3-Day Festival provides participants the journey to explore and experience various wellness related workshops, certification programs, marketplace and other wellness related activations. Another highlight to look out for at MURFEST would be the GloKL | Dance Fitness Party featuring top Salsation trainers in the region including its founder Alejandro Angulo through the collaboration with 360 Active Studio and will take place at The Plaza, LimKokWing University, Cyberjaya. Also for the first time, MURFEST is introducing and curating the Asia Beauty & Wellness Awards (ABWA) 2017 in collaboration with HitMan Solutions Asia. ABWA aimed to recognize businesses and individuals in the beauty and wellness industry, and to encourage a competitive landscape for brands and companies in the current market. ABWA will be held on the 29th of November at Sunway Lagoon Hotel & Resort. Participants to MURFEST 2017 can also expect other new introduction into the programs including Master Classes workshops and free for all community based activities. Adding value to the Festival is the JustBe Markets, a one-stop health and wellness market-space which promises to add value to the Festival by showcasing the best in organic, homemade and homegrown wellness products. Families with children can enjoy the KIDZ CLUB treats for children, a haven that not just harnesses their boundless energy but also caters to their sensitive, growing emotional and mental needs. 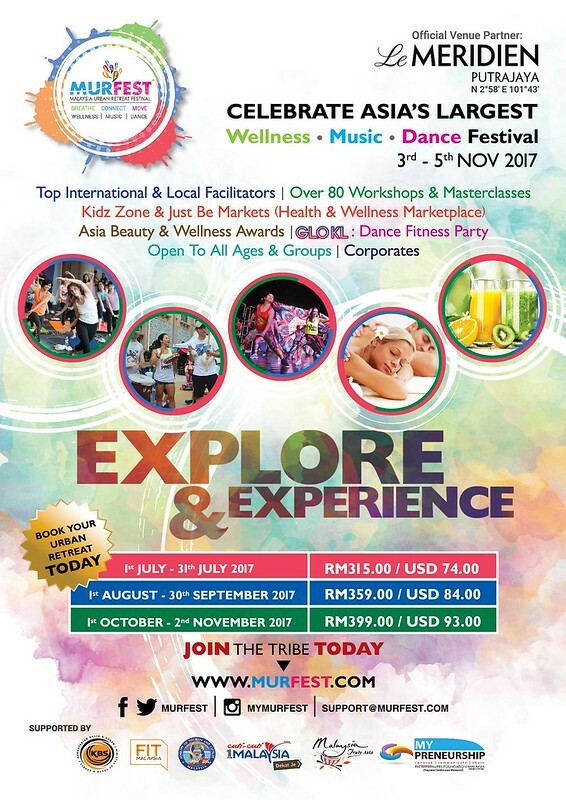 Uniquely at MURFEST 2017, the Association of Malaysian Spas (AMSPA) will be hosting a 1-Day AMSPA Wellness Convention and the Women Empowerment Festival will host a 1-Day Women Empowerment conference.